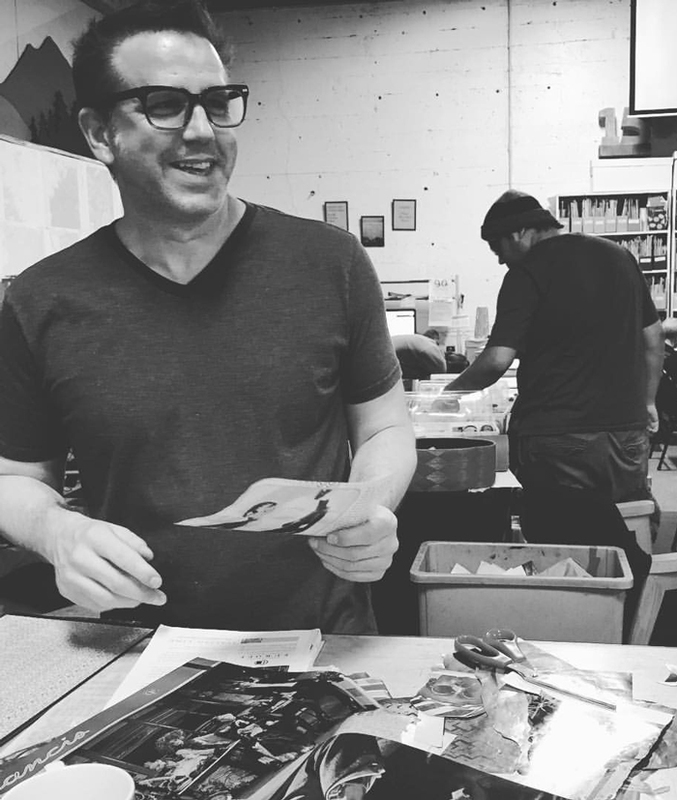 From 2014 to 2018, writer and collagist Kevin Sampsell hosted Open Collage Night at Portland, Oregon’s Independent Publishing Resource Center. Held the second Wednesday of the month, experienced collagists mingled with those just learning more about collage. The event was a low-key, high-fun collage experience that reflected the open, friendly, community spirit of collagists. Sampsell will be bringing that energy to Kolaj Fest New Orleans as the Collage Space Director for the festival. Collage making will take place 11AM to 5PM on Thursday, Friday, and Saturday of Kolaj Fest New Orleans at Artisan Bar & Cafe. In addition to free time to make collage, the space will host artists leading demonstrations and workshops. The space has scissors, X-acto knives, glue, and a collection of papers and materials. Our collage making space is hosted by Kevin Sampsell with support from Jay Berrones. Working with a wide range of source materials, Sampsell’s collages swim in the pool of pop culture. At times they can be silly; at other times they can be astute studies of composition and color. “I’d been doing word collages for a long time, but then started, in 2014, using manipulated-by-hand images (from old magazines and books) and became much more serious and passionate about it,” said Sampsell. 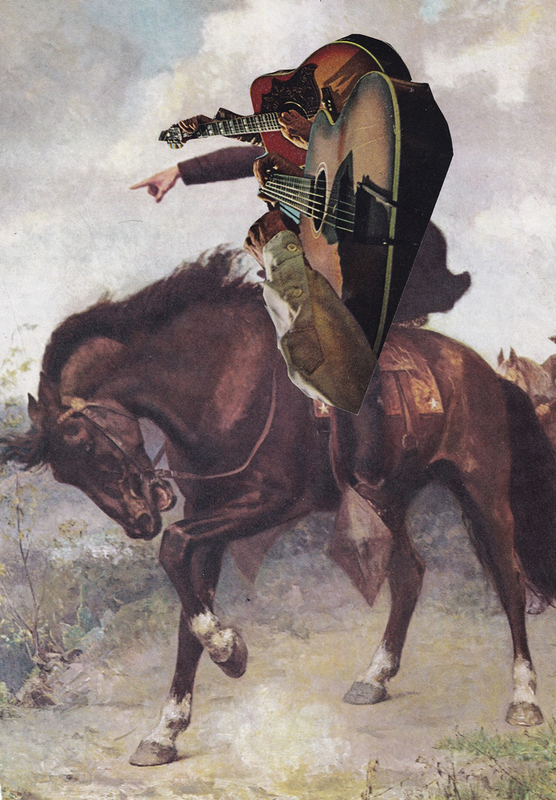 At Kolaj Fest New Orleans Collage Making Space, Sampsell will share some of his collage work and offer some tips and tricks for making collage that he has come across on his journey through the medium. 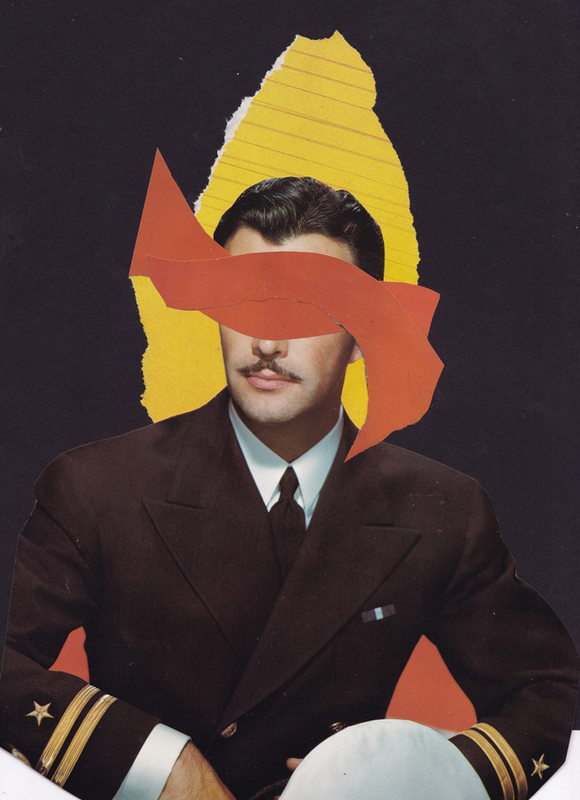 If you’re new or curious about collage, this is a great place to start. Kevin Sampsell lives and works in Portland, Oregon. He is also an author, bookseller, and small press publisher (Future Tense Books). Sampsell has been writing for Kolaj Magazine since Kolaj #11, where his first-person account, “My Rookie Season in Collage”, was published. He has also written artist profiles of Kurtiss Lofstrom (Kolaj #12), Luke Dolkas (Kolaj #19), and Evan Clayton Horback (Kolaj #22). Learn more about Kevin Sampsell at kevinsampsell.com.